The smartest solution for measuring and documentation! Allows for measurements with pictures. Due to the integrated camera it is also possible to take pictures and download them with the USB-interface to a computer. 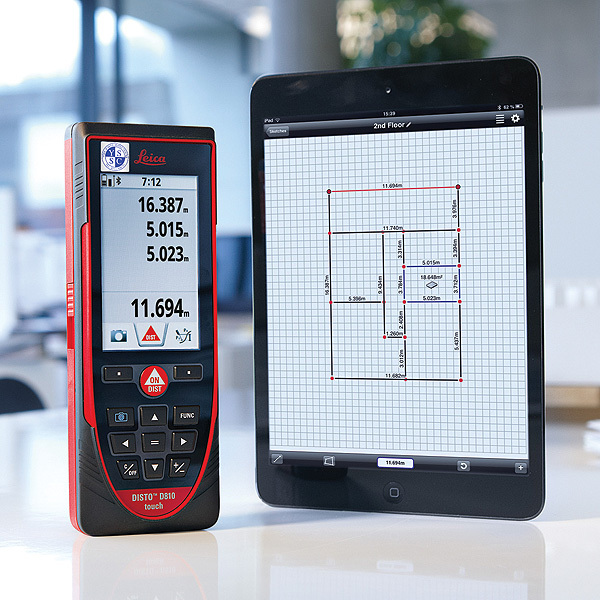 The high functionality is perfectly completed by the smart free app, "Leica DISTO™ sketch". Simply touch it:- Large touch screen for quick and intuitive operation. Using common gestures such as swipe and zoom with two fingers, all the functions are simply and easily accessible. Measurements can also be taken using the touch screen. 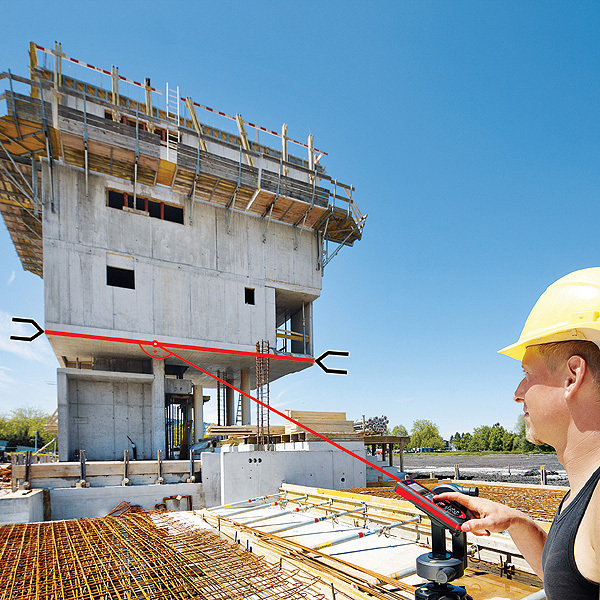 Measure with a picture:- It has never been easier to determine the width, height, area or even the diameter of an object. One measurement at right angles to the object is all it takes. Then the desired dimension is marked using two arrows in the picture and the measured value appears in the display. Documentation using pictures:- The camera function can be used to create pictures or screen shots to document measurements, which can then be downloaded to a computer via the USB interface. 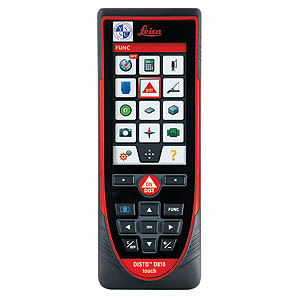 This feature ensures that information about measured points is not lost. High precision:- The Leica DISTO™ D810 touch offers a number of indirect measuring functions. The specially designed tilt sensor ensures extremely precise results.